We started replacing standing rigging two winters ago (2010) when we replaced the lower shrouds with new parts that we brought with us from Florida (SECO South). This winter I started to replace the upper shrouds and had quite a time as the uppers are attached to the mast with Stemball Backing Shell Tangs (BST-8). 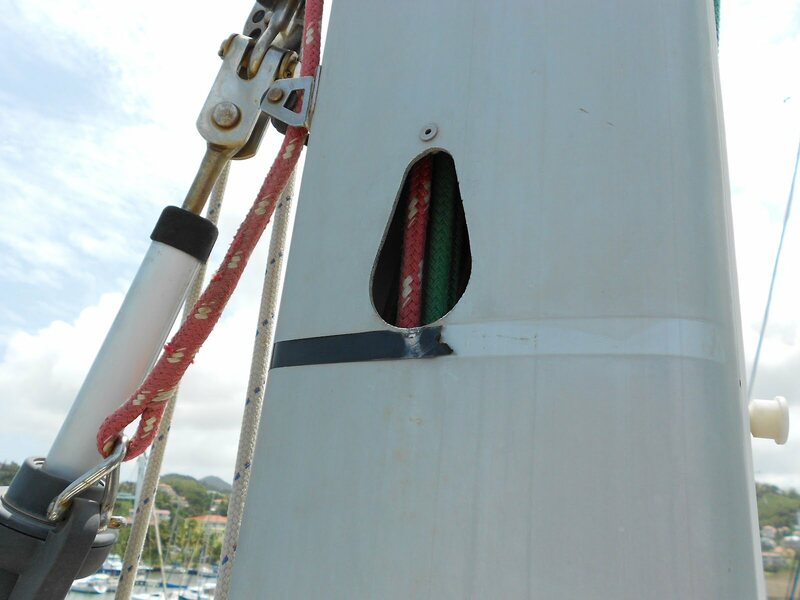 To remove the shroud all of the internal halyards have to be loosened so that there is room to push the tang and shroud back into the mast while rotating them both 180 degrees. This was done while I was hanging from the spinnaker crane on the top front of the mast! Once the shroud and BST-8 were removed from the mast I threaded the new shroud along with two new stemball washers back thru the BST-8 and reinstalled everything back inside the mast. Then we discovered that the rigging specs in our manual were wrong. 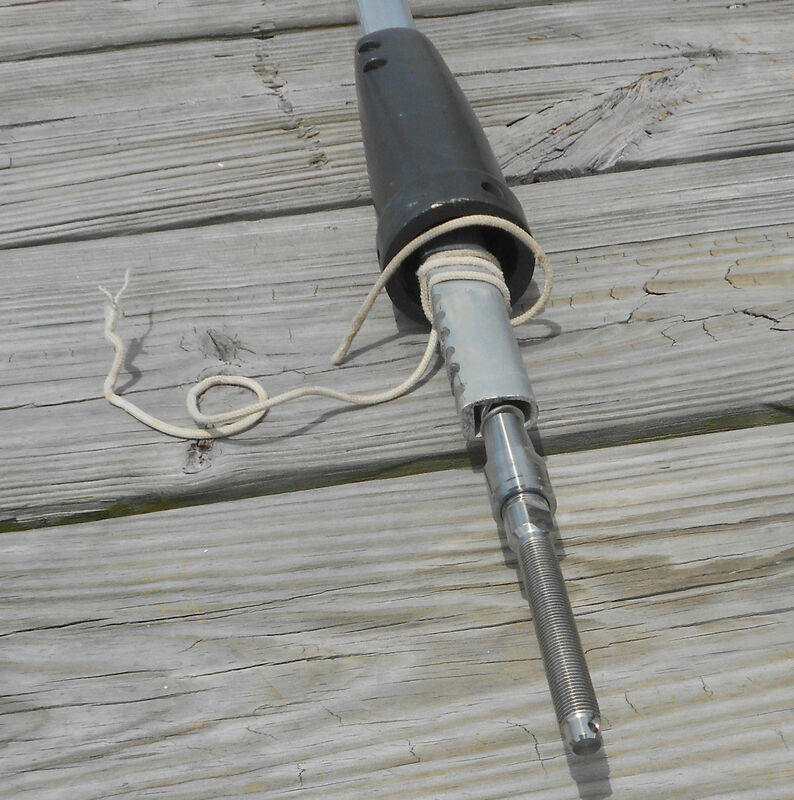 Island Packet changed rigging specs several times during the production cycle of our boat. The manual specs state 45′ 1″ but the old shroud turned out to be 43′ 8″. I confirmed this recently when I carried the old shroud up to Largo to have it cut down and have one additional shroud made! We plan to finish replacing the upper shrouds this coming winter on our return to the boat and then will tackle the backstays next season. 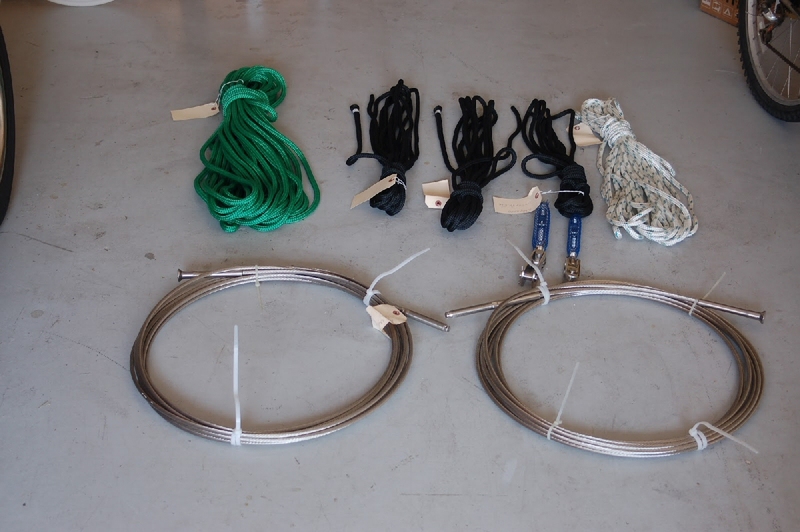 This years shipment (2012): new upper shrouds, main halyard, main out haul, dinghy davit lift lines and dinghy painter. When we returned from the Caribbean in 2014 with the boat we replaced the headstays and backstays. 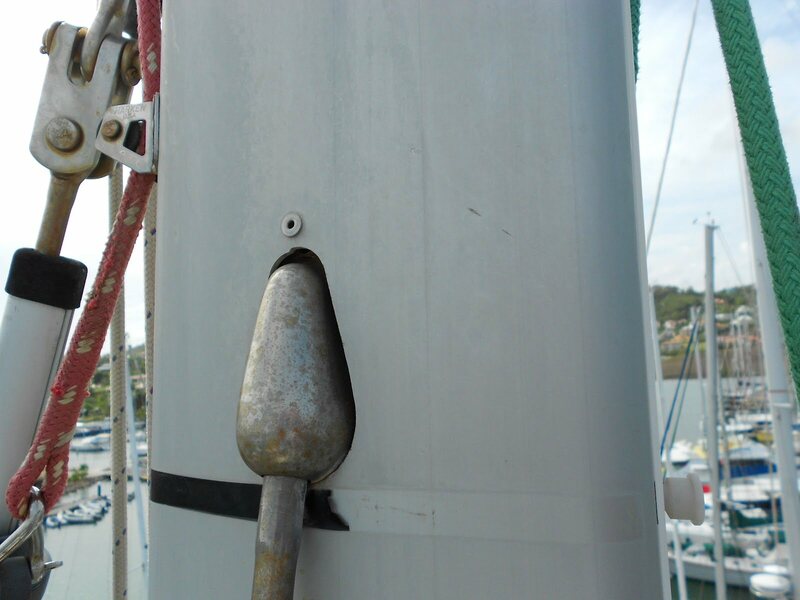 Hardest was the head stay as the original rig used a Harken long swagged lower fitting. That fitting was no longer available so we had to use a Norseman fitting and also trim the headstay and foil to different lengths.